Booklet printing is inexpensive, incredible and highly successful marketing strategy to promote product and services that have benefited numerous companies over the years. It allows the customer know about the company’s history and important events. They will learn what the company is offering and how it is going to be beneficial. It is proven that booklets are time tested way to generate sales. They immediately strike a rapport with the consumer that will eventually lead to sales. When it comes to making a loyal customer base, pamphlets play a vital role, you can beautifully expresses the journey of your company in words, the success, achievements, struggles. This way they will have a positive image about the company and when you tell about the product and service you are offering they will feel already attached to it. Moreover, booklets are handy; store them where you like in drawers, cabinets, etcetera you can retrieve within a fraction of second unlike going on the internet or searching in the telephone directory for numbers. When it comes to booklet printing S S Graphics are a reliable name. Our costs are reasonable, delivery time is excellent, and the quality is superb. We offer complete customization facility - you can customize almost everything from fonts to booklet size, type of paper, cover paper, binding and its placement. We have the technology, expertise and the market knowledge, so join hands with us for your printing endeavors and begin your journey towards greater success. 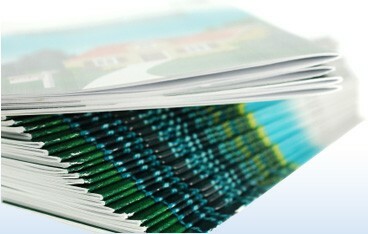 Booklets are a cost-effective way of spreading tons of information and promoting business. Booklet printing has a versatile format that can be used to meet a multitude of needs. When you need to convey information of a sizable amount or in greater detail the booklet printing format can meet every need. They may contain information about company, its products or services. Booklets may be brought to use as program guides for formal events, conferences or other forms of gatherings. Businesses that require product manuals or instruction modules resort to printing reference booklets. One can create newsletters and magazines through booklet printing as well.